Join our community and experience a culture that emphasizes healthy living, functional fitness and having a whole lot of fun. Our short, high-intensity, conditioning workouts are scaled for any fitness level – so come on in, give it a try and be more human. Bradley was a musician in his past life, but he always had a passion for sports and athletics. An LSU grad with a love for high-endurance sports, Bradley found CrossFit as a perfect fit to his lifestyle. 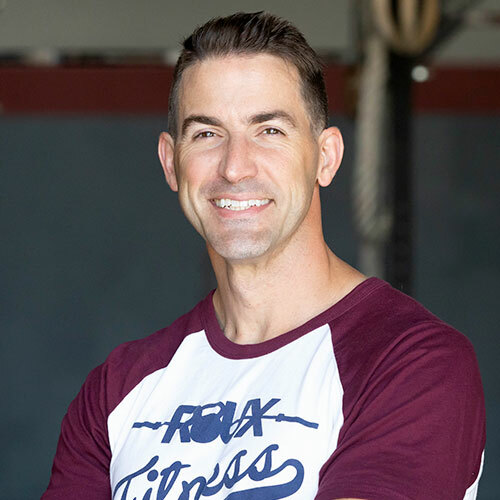 He discovered during his personal fitness journey that his passion for sports and athletics carried over to coaching and training people in becoming stronger, healthier and happier versions of themselves. So CrossFit Roux was born. Bradley shares his members’ joy in their first “a-ha” moment – he loves celebrating that significant moment when a member reaches their first goal. To him each goal met is monumental and looks forward to be a part of many more of these moments. 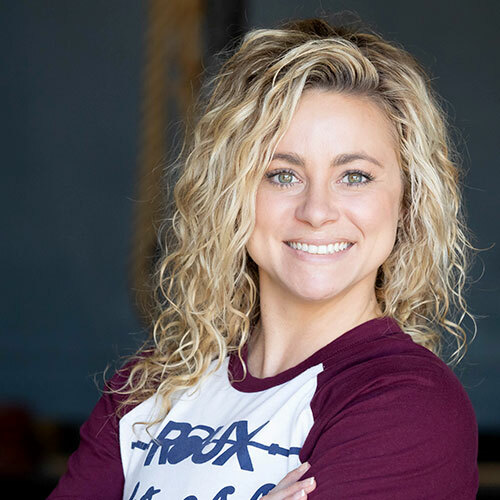 Emily considers Roux Fitness to be her extended family as she shares her passions for community, nutrition, and fitness with its members. Having a positive impact on her members’ lives is what motivates her to be the best coach she can be. Emily leads online group nutrition programs, and she works with a limited number of individualized nutrition clients. She is passionate about helping people improve their habits in a way that leads to lasting and sustainable health. Kevin has an extensive background in athletics and education in exercise. He obtained a degree in Kinesiology from LSU where he played rugby, and as captain of the team his senior year. After college, he continued to be active in rugby with the New Orleans Rugby Club. He was captain during the 2007-2008 season and voted MVP in 2007. 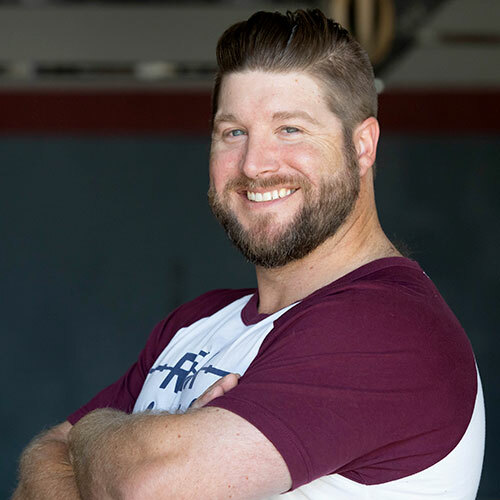 Kevin has known from day 1 of his CrossFit journey that he wanted to help others on their path to becoming the best versions of themselves through fitness. Jonathan is a Doctor of Physical Therapy who holds several certifications in optimizing human movement and performance. Jonathan brings his expertise into the gym as he coaches athletes to move safely and properly. If you’re worried about beginning a new exercise routine because of a prior injury, Dr. Burke offers functional movement screens at his clinic, Therapydia Nola. He can give you an expert assessment on what movements you should modify or avoid. Jonathan also has an athletic background, having played football and baseball at Jesuit High School in New Orleans. Aside from that? He has some sweet dance moves! 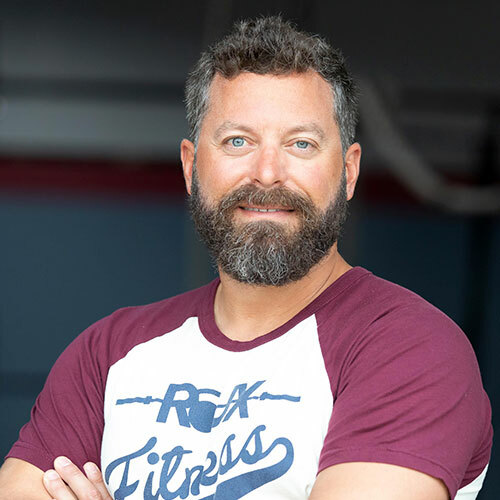 Bob is passionate about CrossFit and its methodology in developing the well-rounded athlete. 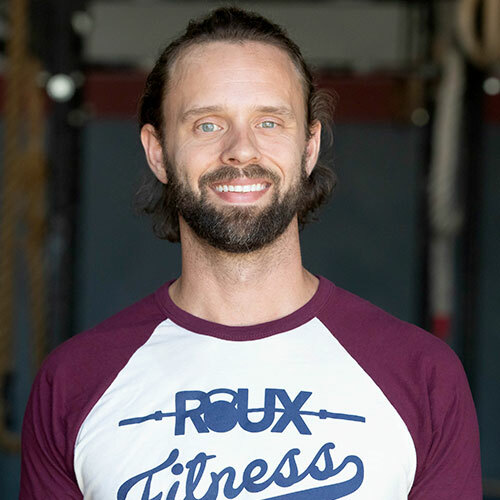 His passion and ever-growing knowledge base are what make him an asset to the Roux Fitness coaching staff. Kelsey has a 15-year background in elite level competitive cheerleading. Her experience as a team member of an internationally ranked team makes her an asset to the Roux coaching staff. She expertly works and guides groups – a big part of being a great coach and leader. She’s a natural motivator and our in-house gymnastics whiz. 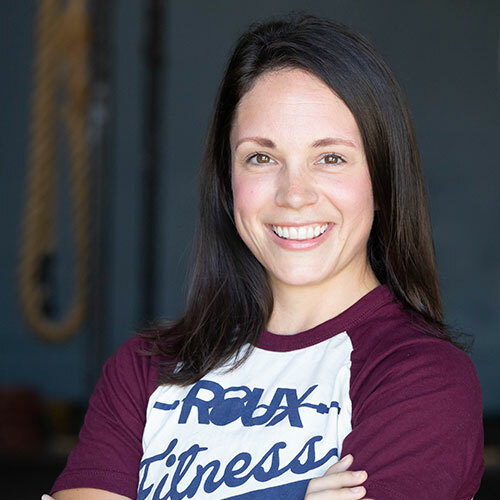 Sarah works full-time as the Project Coordinator at Roux Fitness. Sarah has over 20 years of dancing experience which gives her incredible body awareness, so when she tried CrossFit, she was a natural! She feels fortunate to be an instructor of two of her passions: both dance and Fitness. Sarah’s goal is that every day she can help members be in the moment, let go of whatever was weighing them down before they came in, and help them feel supported and accomplished. Peter recently moved back to New Orleans after coaching at a box in Birmingham, AL. He is passionate about teaching, whether it be high school English or coaching CrossFit. 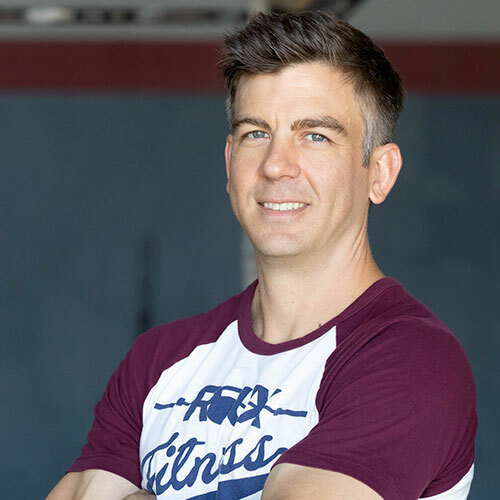 Peter enjoys helping others improve their fitness through a methodology that he believes in, and he feels a sense of pride especially when athletes fight through an especially grueling workout. For Matt, CrossFit has been an outlet that has helped him overcome adversity in his life. He became a coach because he believes that the CrossFit community and lifestyle can help people overcome any issue that they face. He loves seeing the “aha” moment when a cue clicks and a movement that someone was having trouble with becomes easy. 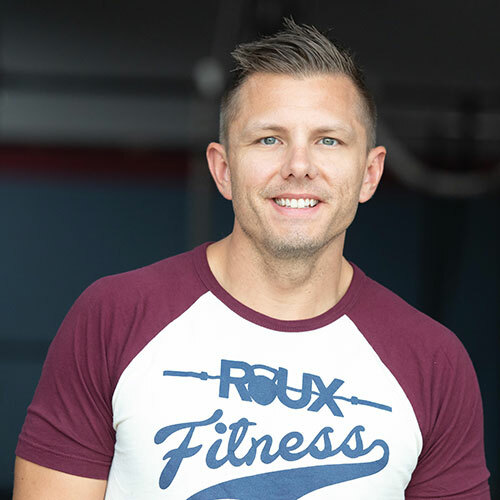 Jamie holds a degree in Exercise Science and is also a Licensed Massage Therapist, operating Massage Roux (https://roux.fitness/SQ-9777/massage/). 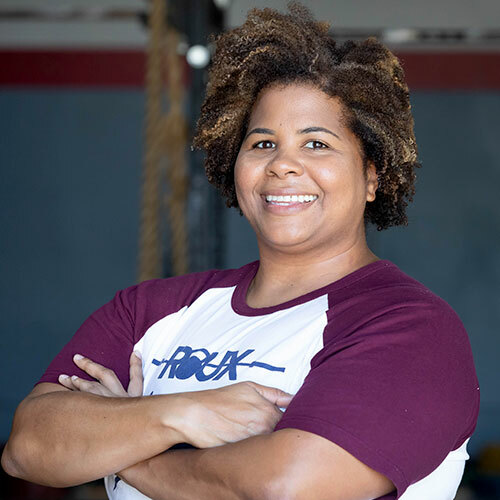 She developed and ran the CrossFit Kids and Teen’s Program at her box in Houston before moving back to her hometown of New Orleans. Her goal is to show people that exercise is fun and hopefully foster a love of movement that keeps people moving well into old age. Glenn is the newest addition to the Roux coaching staff after being a valued member of the community for several years. 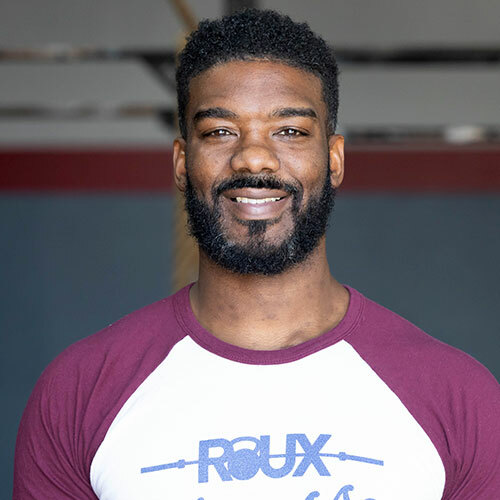 He works as a metal artist, and he noticed that the gains in strength, coordination and endurance he achieved as a member of Roux helped him with his physically demanding job. 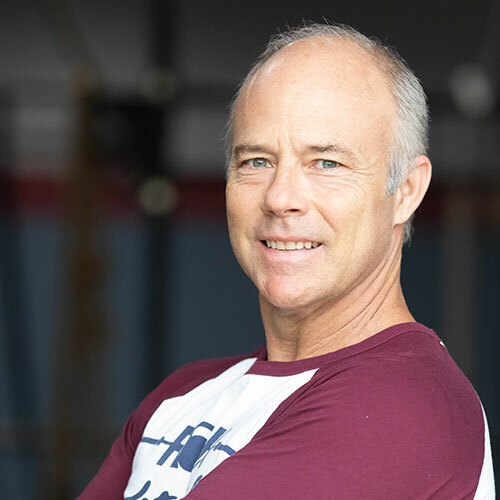 Glenn hopes to share his passion for CrossFit and help others receive the benefits from its practice. Daymian has worked in the fitness industry for over 20 years. 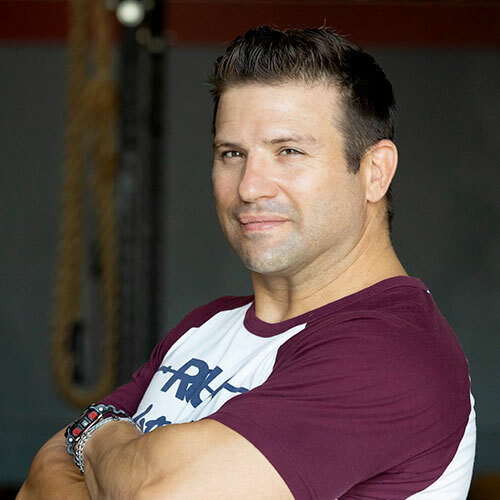 He is committed to helping people change their lives by leading, educating, and coaching them through a program that incorporates both mind and body. Because a healthy mind breeds a healthy body, Daymian works from the inside out and focuses on building self-awareness, confidence, and strength. Janna joined Roux in 2013 looking for some change after being a runner for several years. 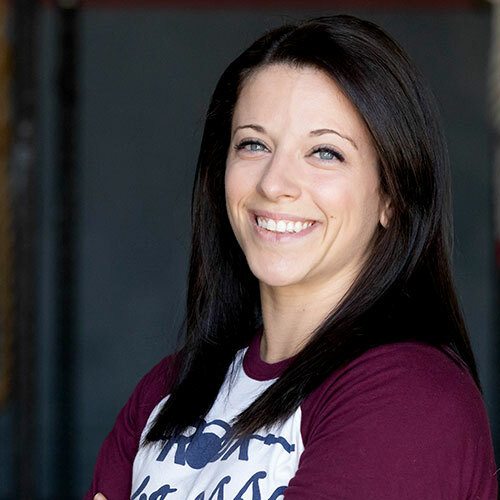 She developed a passion for Olympic Weightlifting when Roux offered its first weightlifting class in 2014. 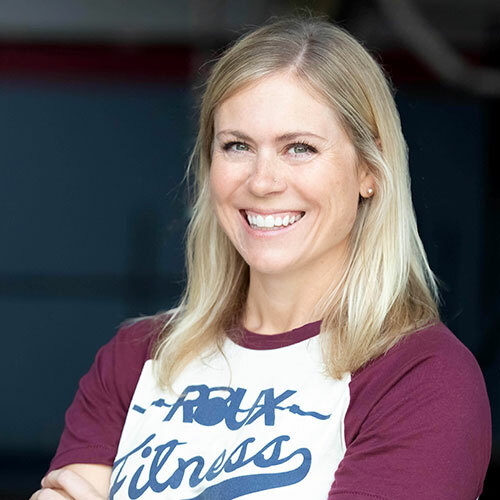 Her favorite part of coaching weightlifting is seeing her athletes' progression in their lifts and how they translate that into their CrossFit Performance.